Cryptic merles are either liver or black, usually with one or a few small areas of merle. However, since you can’t see what color coat would have been anywhere there are white markings, there will be some cryptics which appear to be non-merle. Cryptic merles are sometimes referred to in Aussies as “phantom merles” but cryptic merle is the correct terminology. The merle mutation is a bit of inserted DNA called a SINE (short interspersed nucleotide element) that can change in length from one generation to the next. This accounts for why the merle pattern can be so variable and may explain why, on rare occasions, eye defects typical of a double merle may be found in apparently normal merles. Even within a single litter some pups have smaller or fewer dark spots and others have many or great big ones. The length of the insertion determines how much merle you see on the dog. A SINE over a certain length is evidence that the dog has a merle version of the gene and if the insertion drops below a certain threshold the dog is likely to have no merle areas or perhaps only one or more very small ones, assuming the other copy of the gene is the non-merle, or “wild type.” These dogs are cryptic merles and their test results will indicate they are cryptic merles or carriers of cryptic. The specific terms labs use to describe this vary. A cryptic merle and bred it to a non-merle will have puppies which may be non-merle or have a limited amount of merle in the coat. 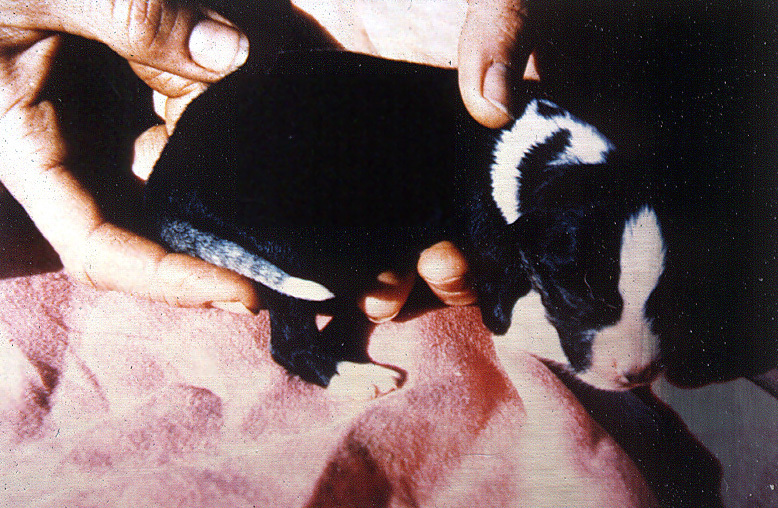 How limited will depend on how long the insertion is in each puppy’s merle gene. There is limited data on litters from two cryptic merles but they would likely have puppies with a small amount of merle. A cross between a merle and a cryptic usually produces puppies of each type. However, there is a 3% chance of a cryptic to merle breeding producing double merles, defined by excessive white and/or typical eye defects. (Keep in mind that excessive white may also be due to white marking genes and unrelated to merle.) Double merles out of cryptics are rare occurrence but owners of cryptic merles need to decide wither or not they are comfortable with that level of risk when makig breeding plans.